Animation Desk Mac App Review: Awesome Animation App! 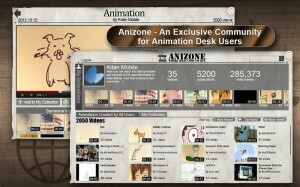 Animation Desk is a Mac app developed by Kdan Mobile Software. 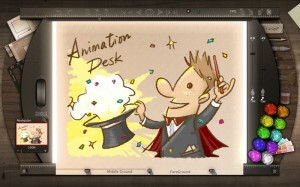 You may recall that we previously reviewed the iPad version of Animation Desk earlier this year. The main idea of Animation Desk for Mac is that it mimics the real-working environment of animation production on a specifically designed desk. 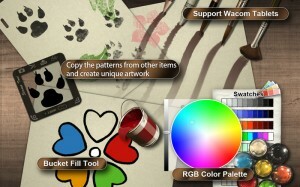 It should be no surprise that I love the Mac version of Animation Desk as much as I loved the iPad version. Every tool you need (and there are a ton to choose from) is thoughtfully laid out, and it was so easy to navigate. As with the iPad version, the Mac app makes it super easy to upload your work to YouTube. 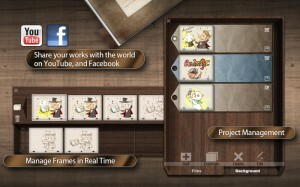 You can also share your work as an e-card, or put it up on Facebook. You’ll see that I gave Animation Desk a 9.5/10…while the iPad version got a 10/10. That slight difference in score is almost entirely down to personal preference. Since I don’t have a ton of animation experience, I found it was a lot easier for me to draw on an iPad, because it’s more like drawing on a sketch pad. Whether you get Animation Desk on your Mac or an iPad, you’re definitely going to love using this stellar animation app. It’s easy enough for a beginner, but robust enough to please advanced art geeks. Now if you’ll excuse me, I have to go work on my cartoon. 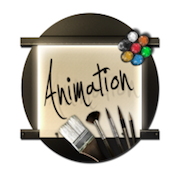 Animation Deskis a Mac app which requires OS X 10.6 or later, as well as a64-bit processor.